When Olga crosses paths with a weird creature and becomes the first kid to discover the species olgamus ridiculus, she is ecstatic! What does an olgamus eat? How does it poop? Why does its burp sound like the word rubber? 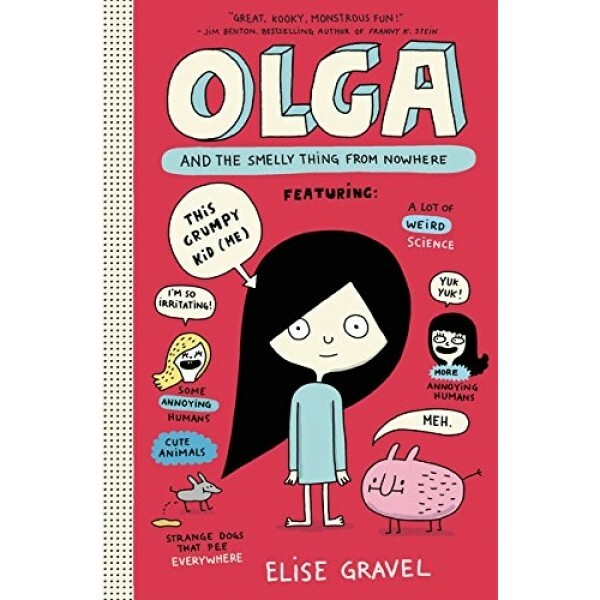 With her trusty observation notebook and the help of a librarian, a shopkeeper, and some friends, Olga sets out to do science-- learning the facts about her smelly, almost-furry pal and searching for him when he goes missing. The scientific method is the best way to discover anything! 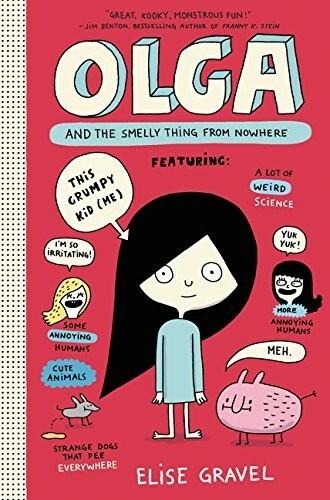 Olga and the Smelly Thing from Nowhere is jam-packed with fun: vibrant illustrations, word bubbles, quirky humor, olgamus facts, and plenty of excitement for readers who love making discoveries and meeting new friends. Olga is a charming combination of independent, curious, and smart -- making her the coolest girl scientist around.